Print pieces can get expensive fast. Most churches, mine included, don’t have a massive communication budget to spend on print pieces. And booklets are one of the most expensive print pieces because of the multiple pages. I’ve found we can ease this cost by printing a cover out-of-house and finish the inner pages in-house. This gives a finished look but costs significantly less. This doesn’t work for every booklet application, but it’s especially useful for pieces like devotionals, reading plans, prayer guides and small group guides. 1. Design a full-bleed 8.5×11 cover page. (That’s where the color extends all the way to the edge of the page.) I’ll usually ask our design volunteer do this. This will fold to a standard 5.5×8.5 booklet. 2. Order the cover from an online or local print vendor. 3. Set it up as your cover page and then print the inside. 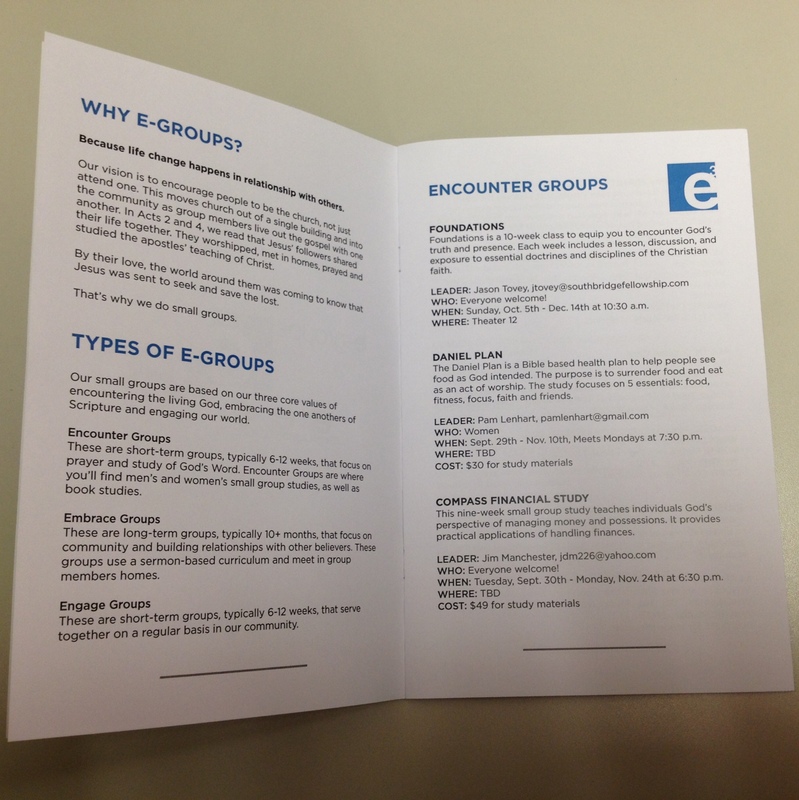 Configure your print settings to a booklet with a cover page and finish with bi-fold, staple-binding. Keep in mind: To do this, you need an office printer that can run a heavier stock without jamming (because jams are the worst) and can do a staple-binding. And voila! You’ll have a pretty print piece without busting the budget. 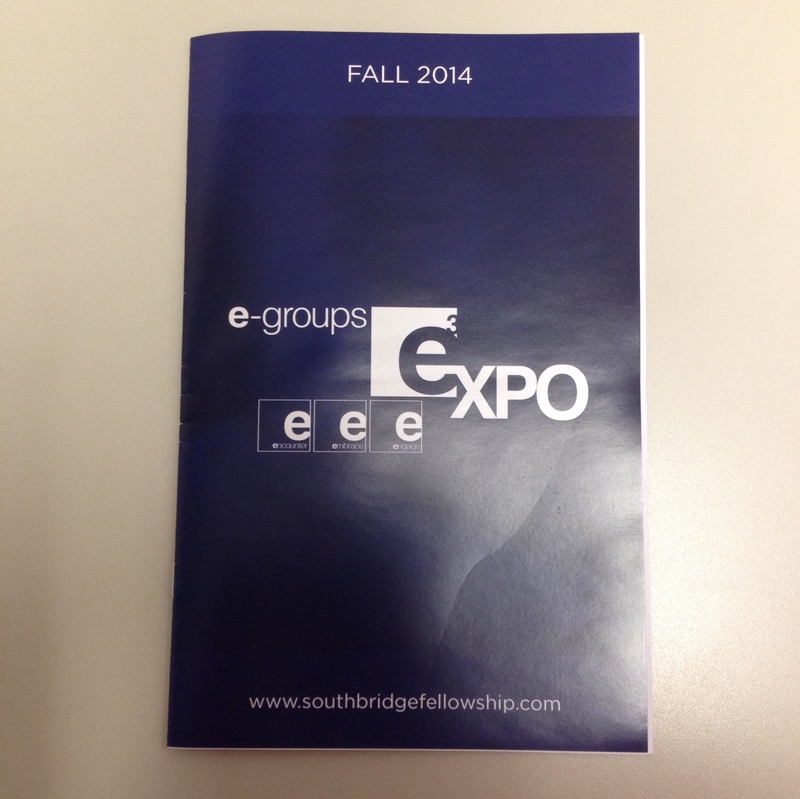 Here’s an example from our small groups expo. If you liked this post, here are a few more you might like.